How do you want to accept credit card payments? No matter what type of business you have, we have simple and secure payments solutions to accept all major credit cards, and reporting solutions to help you identify important insights, trends and grow your business. For brick-and-mortar businesses that need a POS system with wired points of sale. For restaurants that have customers pay at their table or other businesses that need a device that can move throughout their store. For businesses that want to accept in person payments on their mobile device. Perfect for accepting payments outside a physical location. For healthcare providers, professional services, and office businesses that want to accept in person payments through a computer pin pad. 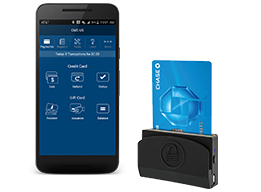 Mobile Wallet Ready – Compatible with Apple Pay®, Google Pay™, Samsung Pay and other popular mobile wallets. Accepts all Major Cards – Accept all major EMV credit, signature and PIN debit transactions. Protect your Payments – Built in security to protect your customers and your business from fraud. 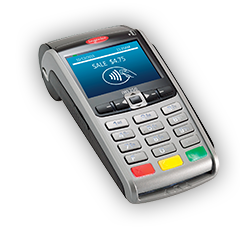 Wireless Connectivity – Wifi, Bluetooth and 3G connection so you can process payments away from the counter. Accept all Major Cards – Accept all major EMV credit, signature and PIN debit transactions and popular mobile wallets. Extended Battery Life – Extended battery life with a lightweight and compact design, perfect for inside and outdoor use. Payments on your terms – All you need is our card reader, Chase Mobile Checkout app and your compatible mobile device. Accept all Major Cards – Accept all major EMV credit, and signature debit transactions. Reporting on the Go – Access your reports on the go too, with customizable dashboards in our Chase Mobile Checkout app. No Terminal, No Problem – Accept card payments through your desktop or your laptop computer and a compatible pin pad. 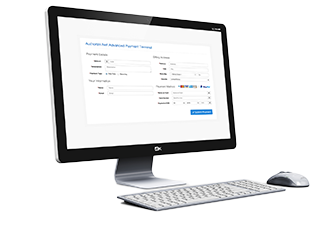 Easy and Secure – Get started without complicated set-up and process payments safely and securely. For businesses that want to accept card payments over the phone or by mail. For businesses that want to accept payments through their website. No Equipment Necessary – All you need is a computer to get started. Manually enter card information through our secure web portal. 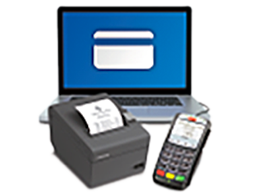 Accept all Major Cards – Securely accept all major credit and debit card transactions with printed or digital receipts for your customers. Payment and Report Management – Manage refunds, transactions and generate reports all through your computer. 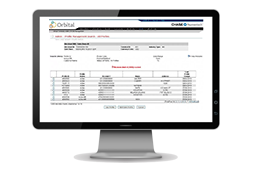 Versatile Gateway Options – Whether through our proprietary Orbital Gateway, Authorize.net or one of our many other gateway partners, we have flexible processing options for your business. Accept all Major Cards – Securely accept all major credit and debit card transactions. We're here to help you choose the solution that's right for you. 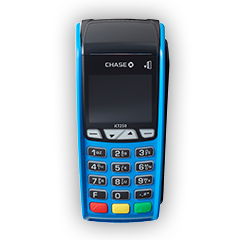 Online POS Terminal uses a PIN pad to process EMV payments from your PC or laptop.